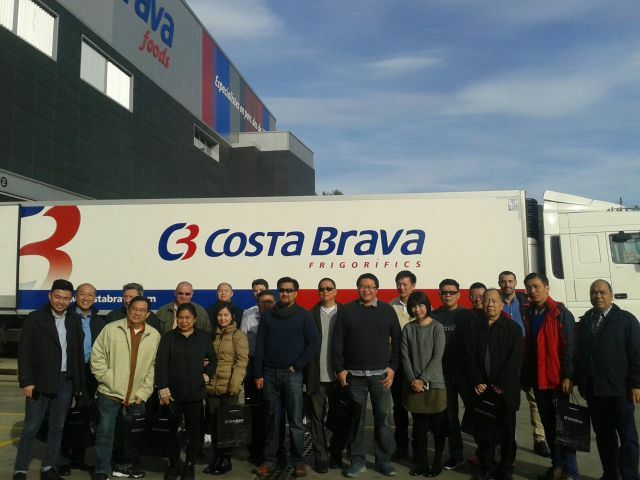 Last 8th , 9th and 10th of November, Costa Brava Foods participated in Misión Inversa organized by FECIC, which brought a group of 16 importers from Philippines, Singapore and Malaysia. They were interested in establishing a direct contact between companies in these countries and the main companies of the catalan meat sector. The reason is the important development that is expected of the Southeast Asia area in the coming years. This growth will be possible because of the increase of their economies and their middle class, but also because of the increase of the consumption of pork, both for household consumption and in restaurants and large channel communities.